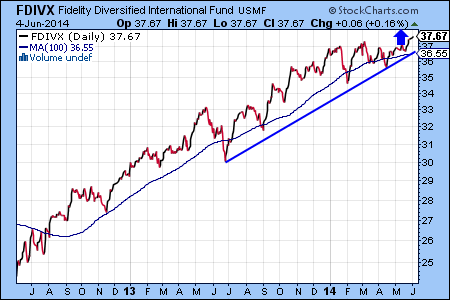 The prospect of worldwide economic recovery in 2015 is already making investors rethink their diversification strategy. Equity markets often anticipate economic changes 6 to 12 month into the future, as market participants are taking positions ahead of time. One of the best ways for conservative investors to participate in the renewed interest in international markets is via the Fidelity Diversified International Fund (FDIVX). 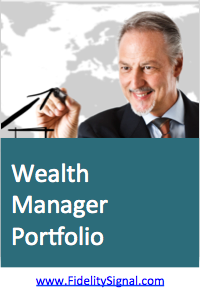 FDIVX invests 58% of its assets in Europe, but Japan and Emerging Markets carry large weightings, as well. FDIVX also invests 12% of its assets in the United States. The Fidelity Latin America Fund (FLATX, last change: -1.54%) dropped to a new 52-week low. The Fidelity China Region Fund (FHKCX, last change: -1.40%) is still in uptrend and has outperformed other emerging market funds. 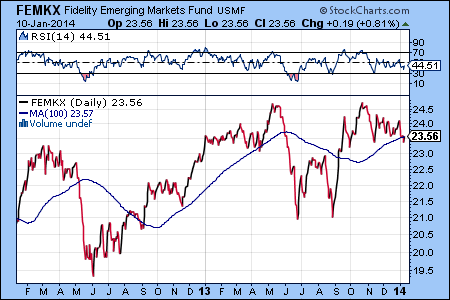 Emerging markets have underperformed U.S. equity sectors so far in 2013, but should this trend reverse, the Fidelity Emerging Markets Fund (FEMKX, last change: 0.87%) is one of the best ways to participate for investors seeking increased international exposure. 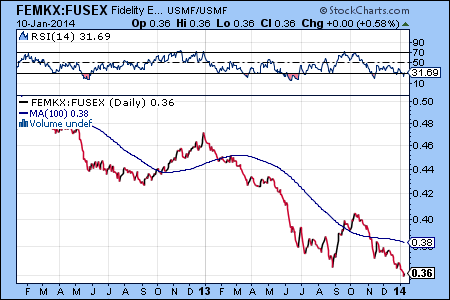 The FEMKX chart looks increasingly bullish with today’s breakout from the trading range that started in January. The Fidelity New Markets Income Fund (FNMIX, last change: 0.34%) is now the top bond fund based on its 2012 performance in our daily survey of Fidelity funds. The 4.79% yield has contributed to the stellar 16.99% year-to-date return by FNMIX.